The Stage for NBA 2K15, which was exclusive on PlayStation 4 for the first 30 days after release, is now available on PC and Xbox One in new update. The Stage is where the best players come to compete for virtual currency and bragging rights. Park rivalries are set aside in this place which means you can team-up with anyone whether they are Flyers, Ballers or Riders. 2v2, 3v3 and 5v5 courts are available. Pick your court, ante-up and play! Win and split the pot with your teammates. 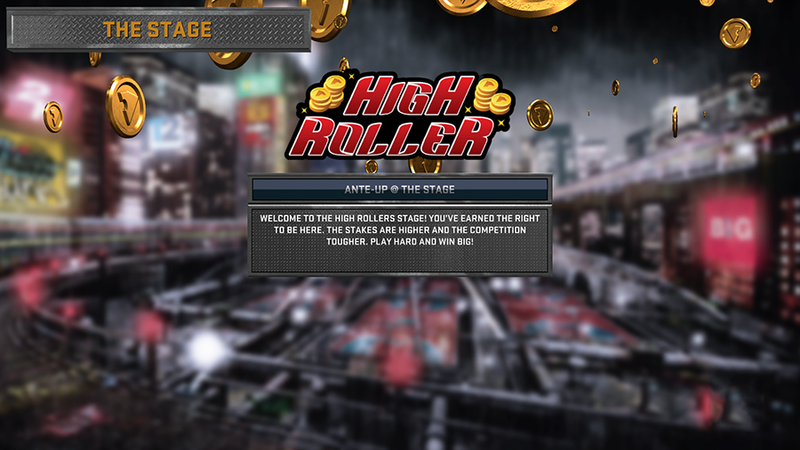 Elite players can bring their talents to the exclusive high rollers stage where the maximum stake can amount up to 45,000 VC (PS4) / 30,000 VC (PC Xbox One) for a single game! To go to "The Stage", simply go to MyCAREER, then head to the main navigation bar and you will see The Stage (Ante-Up) under MyPARK.